The Badger State Games are being run this Saturday, January 27, at Nine Mile Forest Trails. All events are scheduled to run as planned and final preparations are underway to make sure everything is set to go. Because of warm weather conditions expected on Friday, the trails at Nine Mile will be closed to prevent unnecessary damage to the base and maintain optimal race conditions for Saturday. On Saturday, Nine Mile will be closed to public skiing until 3:00 PM. If you’d like to volunteer yet, you can do so by calling John at 715-218-7883. 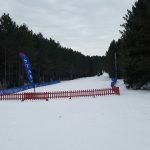 If you want to race, you can still register online at badgerstategames.org by 11:59 PM on Thursday. There will be on-site registration, however we urge you to sign-up early to avoid the hassle on race day morning.